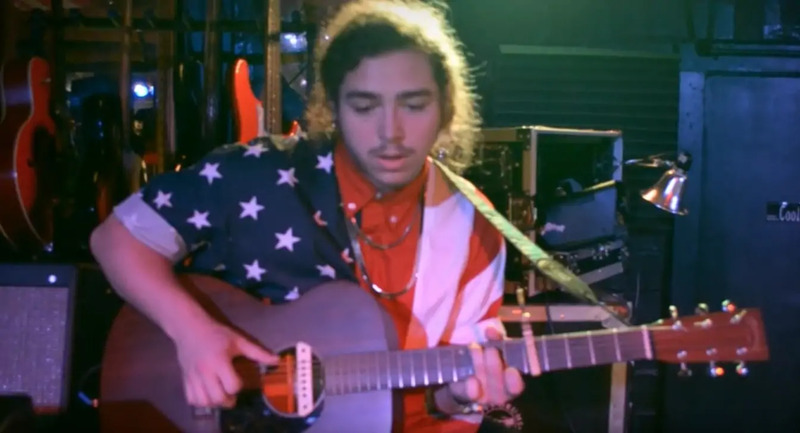 Even Post Malone had a cringy emo phase. This week, some fans of Post—known for his emo/hip-hop blend that’s taken over top 40 radio—may have discovered some of his music before he took on his rap moniker. And they sound basically nothing like “White Iverson” or anything on Beer Bongs and Bentleys. The songs (believed to be a young Austin Richard Post), posted seven years ago under the name Austin Richard are mostly acoustic, and some sound a lot like a bedroom version of indie rock icon Bright Eyes. There’s even a really tender cover of “Silent Night.” Cringe alone with young Post as he sorts out his broken heart with a voice that splinters just so over notes high and low, wailing out morose odes to the death of romance in dishonor of the one who did him dirty. We’ve all been there, Post. Well, we don’t all have an old Soundcloud dedicated to it, but a growing number of us do. In some alternate universe, Post Malone would be a Saddle Creek artist. Instead, he is …well, whatever he is now. You can go here to check them out.